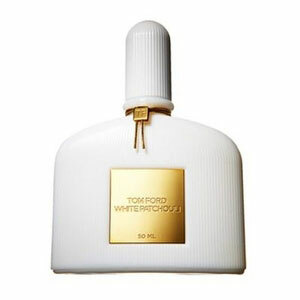 The new fragrance for women White Patchouli by Tom Ford arrives to the market in September 2008. White Patchouli is created in cooperation with perfumer of the house of Givaudan and it is mixed as a game of white flowers, patchouli, peony, bergamot, jasmine, rose, coriander and ambrette seed. The perfume is available in a white glass bottle in three sizes: 30, 50 and 100ml edt, and as body lotion. Commercial for this perfume was done in black and white. Photographers in charge of the quality presentation are Mert Alas and Marcus Piggott, while the face on the commercial is popular singer Erykah Badu. The commercial will be present in fashion magazines from September, when campaign for sale of White Patchouli will also begin.